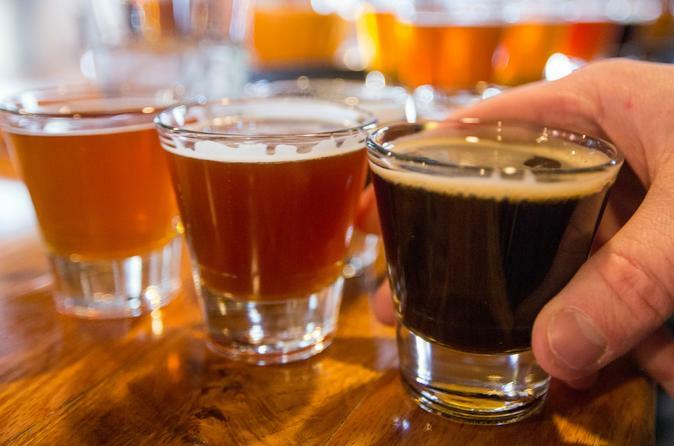 Get out of the hustle and bustle of downtown Denver and spend 4-hours on this small-group (up to 13) tour of 3 local breweries. Your guide will take you to each location where you will spend approximately 1-hour at each brewery. Learn about brewing and beer from the experts while you enjoy a flight or pints at each stop. Tour includes van transportation and depending on availability an official tour. Friday evenings are generally tasting, drinking tours. Group cannot always get official tour after 6PM. More focused on drinking with your friends and a great night out. You will meet your group inside the Brew on Broadway (The BoB) at 6:00 PM. There is public parking across the street from the Bob (Between Broadway and Lincoln). There is usually street parking on Broadway as well. 2. Brewer tour at one stop included in the tour- when available. Learn about brewing from the experts. When the tour is complete, you will be returned to the Brew on Broadway. Tour operator will provide water and snacks on the bus.